Lovely Paris (sigh)... not only does it fill me up with joy from the wonderfully sculpted architecture to the surrounding history, but also because of its delicious cuisine! 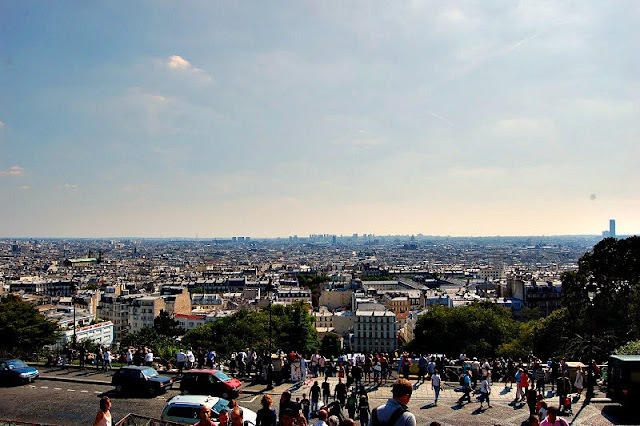 When you are up visiting the Sacre Coeur and admiring the view from Montmarte, do as the Parisians do and grab some street food, a bottle of wine, and pop a squat on the steps of the church. Watch the sunset over the city - a view worth savoring. 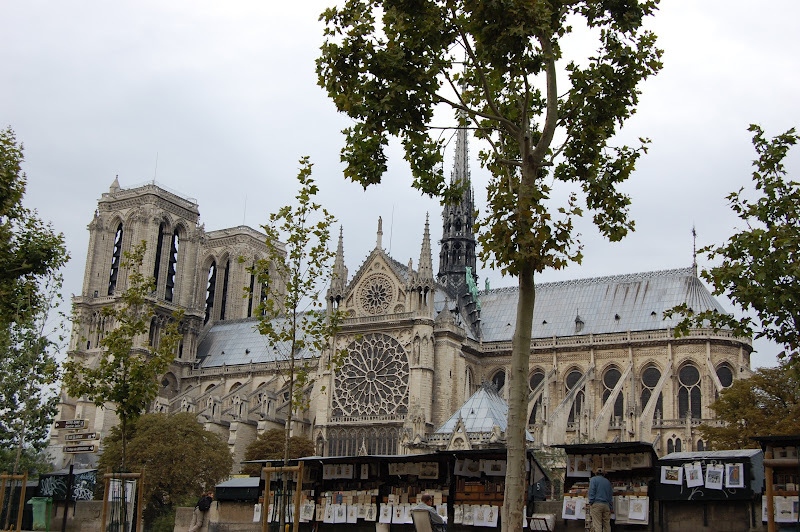 Or, head over to the Place du Tertre. It's a garden full of local artists. 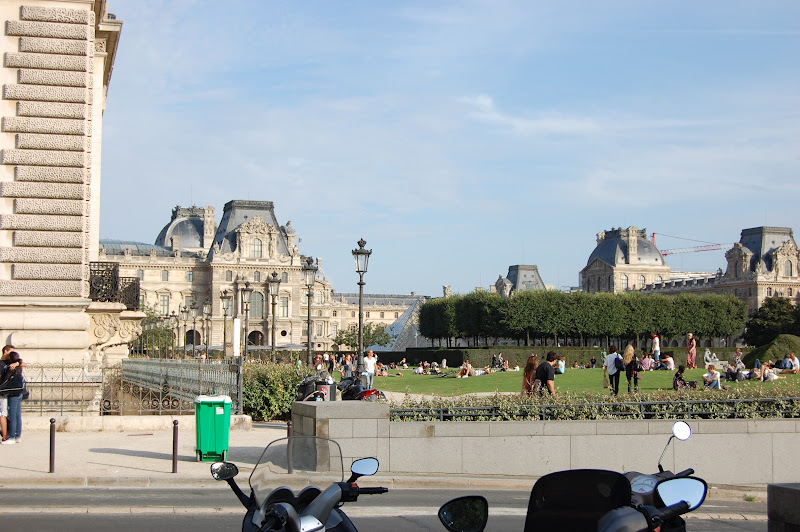 In the center is the artists' square, which has been popular for years with famous artists like Pablo Picasso, Salvador Dali, and Vincent Van Gogh, just to name a few. Even today, the place is packed with aspiring painters, potters, and sculptures galore. In the image below, an artist was painting the square from his studio window. We grabbed a classic ham & cheese sandwich while watching him do his work. For dinner, go to La Mere Catherine. It's a classic haunt with red and white checkered table cloths. 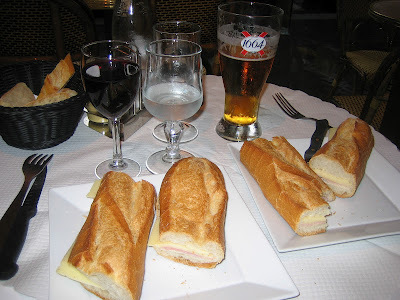 Great French red wine and your typical French classics can be found at a reasonable fare. A classic French Steak and Frites meal can be found at le Relais de l'Entrecote. Arrive early, otherwise expect to wait in line outside the door with all the locals. There is no menu - it's simply just steak and frites (and unlimited, so you must let them know once you are full, otherwise they will keep piling up your plate. We learned that the hard way.). 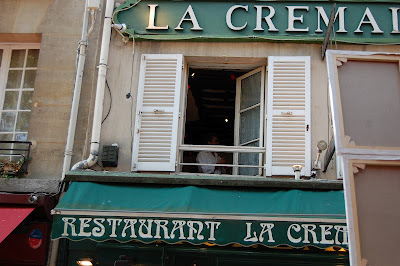 A few of these restaurants can be found throughout the Paris districts. 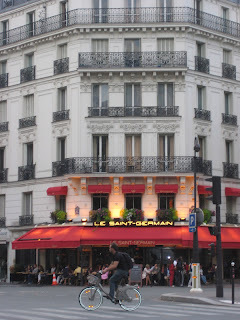 Le Saint-Germain cafe is one of our favorites to frequent. It's a classic Parisian bistro with all the standard menu offerings, each one coming out perfectly French. At the right fare, the right service, and the right ambiance (gotta love the 80s music inside), think about grabbing a table outside on the corner to kick back, people watch, drink, eat, and be merry. Mussels! Leon de Bruxelles is located right on the main strip and hard to miss with its bright blue awning. 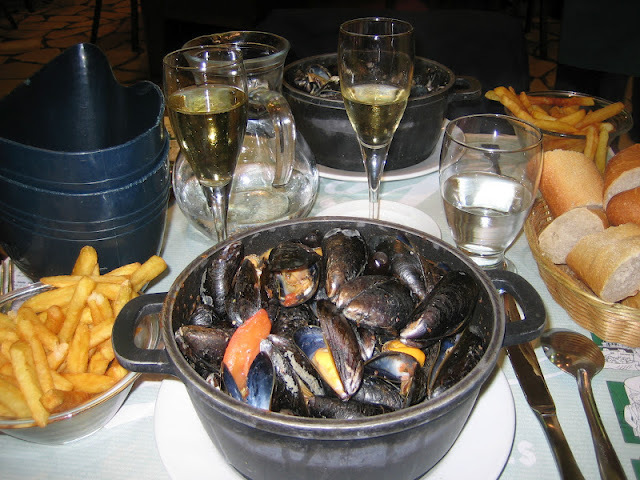 It's a great place to stop in for lunch and grab a pot of mussels and maybe some brews, Belgium style. Or up the ante like we did with a little French champagne, it is vacation after all. The Dijonnaise mussels - incredible. Another great stop along the Champs Elysses is Laudree. Pop in for an afternoon Macaron! Just don't take any pictures inside and don't self-serve - they don't like that. Be a true Parisian and grab a sandwich (ham and cheese, always a favorite) from a street vendor as you continue about your way. 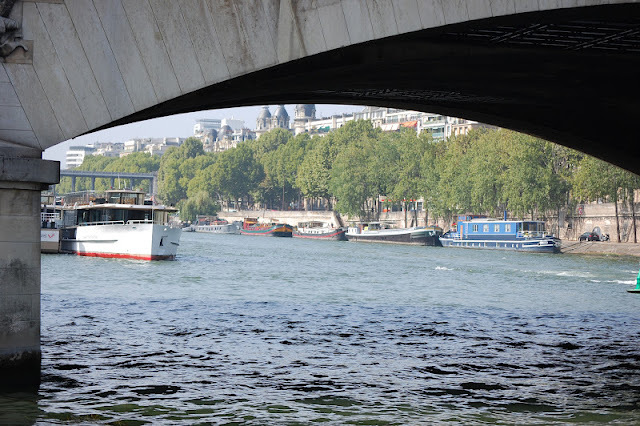 In the morning, grab a pastry - croissant or pain au chocolat - from one of the local patisseries and head down to the Siene River. Take a seat on the edge of the bank and just let the morning view give rise to the start of a lovely day. In the afternoon, grab a bottle of wine, some cheese, and a baguette and join the crowd in a happy hour along the edge of the river. Fun Fact: An Arrondissement (Arr.) is really just a district or certain neighborhood in Paris. For us map geeks, it helps to get a sense of where you are within the city, and creates a fun spiral maze.